I am at the funeral of my aunt today, giving the eulogy later, and it’s a sad occasion. 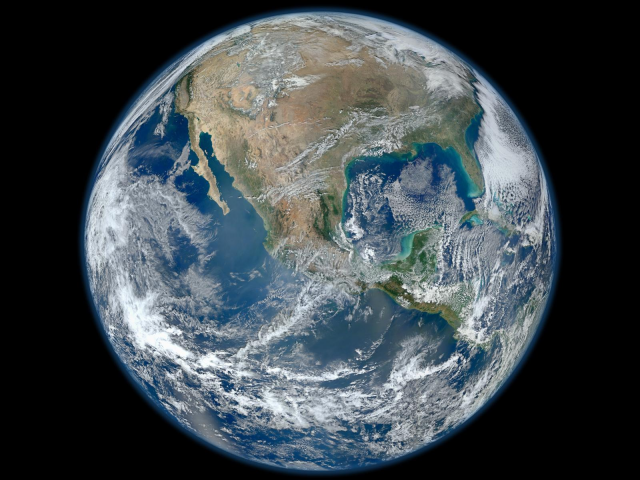 But for some reason, this stunning new version of the “Blue Marble” photo of Earth — taken on Jan. 4 by the Visible/Infrared Imager Radiometer Suite instrument on NASA’s Suomi NPP satellite — is vaguely comforting. Perhaps because it speaks of a much bigger picture, and of how delicately and elegantly life hangs in the dark universe.